Type location Zaïre (Bothroponera umgodikulula n. 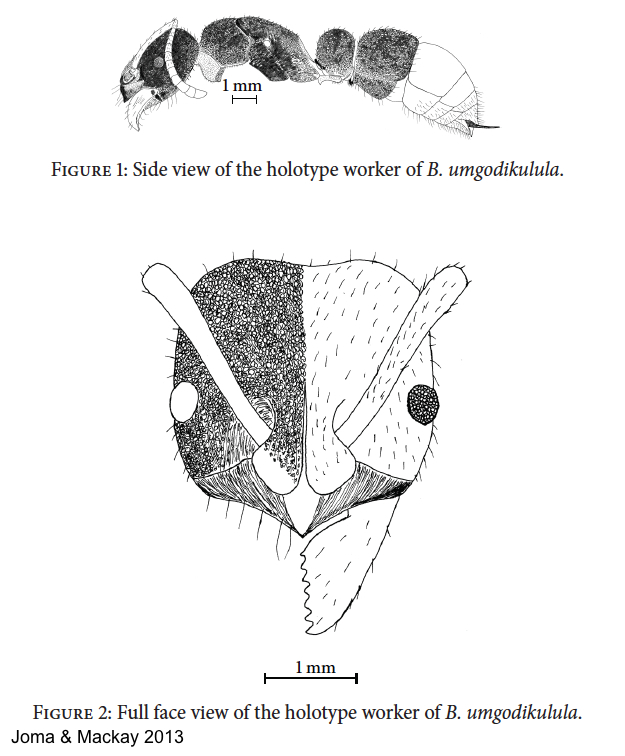 sp., Joma & Mackay, 2013: worker, illustrated) Haut Ubangi, Zimmermann - no images on Antweb (June 2014). The description can be seen at http://www.hindawi.com/journals/psyche/2013/917847/.